Temps are rising outside, and it's starting to feel like spring. 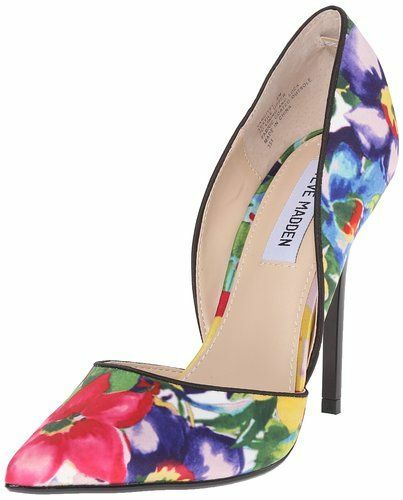 Embrace the changing seasons (and give yourself the bouquet you deserve anyway) in a floral pump, like the Varcityy from Steve Madden ($99.95 at amazon.com). Painterly blooms brighten your day, while a trend-right d'orsay silhouette elongates legs. The black trim nods to the facth that while it's almost spring, we're not quite there yet. It adds a pretty pop to all black and dresses up denim. 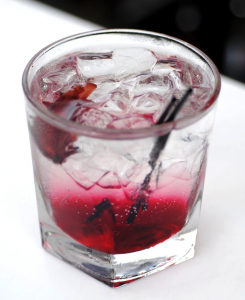 Place frozen cubes of Sorel into a highball glass. Add gin and St. Germain. Since Sorel cubes don't float, they'll sit at the bottom of the glass and dissolve slowly. *Shoes N Booze is an Amazon affiliate. Purchases made by clicking an amazon link will result in commission.